The Supreme Court on Friday affirmed the judgment of the Federal High Court in Abuja sacking Mr. Christian Abah as a member of the House of Representatives representing Ado/Okpokwu/Ogbadigbo Federal Constituency of Benue State. Justice Adeniyi Ademola of the Federal High Court in Abuja had in his judgment delivered on February 8, 2016 sacked Abah for submitting a forged certificate of academic qualification to the Independent National Electoral Commission. The judge had ordered the INEC to issue fresh certificate of return to Abah’s first runner-up in the Peoples Democratic Party’s primary election held on December 6, 2014, Mr. Hassan Saleh. A five-man panel of the apex court led by Justice Mary Peter-Odili, ruled on Friday that having been found to have forged the Ordinary National Diploma certificate purportedly issued to him in 1985 by the Federal Polytechnic, Mubi, Adamawa State, Abah remained constitutionally disqualified to contest the election into the National Assembly. In the lead judgment read by Justice Sidi Bage, the Supreme Court upturned the judgment of the Court of Appeal which had dismissed the forgery allegation against Saleh and affirmed the Federal High Court’s judgment.. Justice Bageh, delivering judgment in Saleh’s appeal against the Court of Appeal’s judgment, affirmed the verdict of the Federal High Court, Abuja, and held that criminality such as certificate forgery must not be allowed to continue to “contaminate” the nation’s polity. He said whenever the opportunity presented itself, the Supreme Court had the responsibility of righting the wrongs. He said sacking Abah was the beginning of the purification efforts. Bage held, “This court, it is a must, to take the lead, righting the wrong in our society if and when the opportunity presents itself as in this appeal. “Allowing criminality and certificate forgery to continue to percolate into the streams, waters and oceans of our national polity, will only mean that our waters are and will remain dangerously contaminated. “The purification efforts must start now and be sustained as we seek, as a nation, to now change from our old culture of reckless impunity. “The Nigerian Constitution is supreme. It desires that no one who has ever presented a forged certificate to INEC should contest election into the Nigerian National Assembly. This is clear and sacrosanct. “More compelling, as a judicial determination, as a judicial decision has been taken by no less a technical panel sitting in at least a panel of three judges as election tribunal with constitutional mandate to determine such issue as they relate to elections and its outcome including eligibility. This was also affirmed by the trial court. 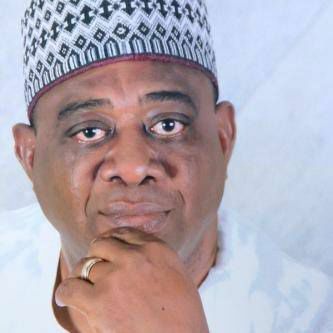 Abah was said to have, in addition to tendering a forged certificate for the 2015 election, falsely claimed in the INEC’s Form CF001 ahead of the 2015 general elections that he had never submitted a forged certificate to INEC, contrary to an earlier judgment of an election petition tribunal in 2011, declaring that the certificate submitted by him was forged.